These two cabins were built c. 1836 by slaves on the cotton plantation of J. Eli Gregg in what was then Marion District. They are the last two of eight that originally stood in a cotton field in what is now the center of the campus of Francis Marion University. Built of 4”x9” hand-hewn pine timbers, the cabins feature precise full-dovetail joints and plank floors. 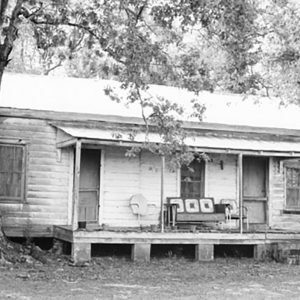 Freedpeople and their descendants—cotton sharecroppers who grew rice for household use well into the twentieth century—continued to live in the cabins until the late 1950s. Call or visit the website to plan a tour.